The first and last time I met Chico Mendes was in the little frontier town of Brasileia on the Brazil/Bolivia border in August 1987. Together with Sue Branford, I had travelled to the western Amazon state of Acre to interview the man who was becoming famous in Washington as the leader of the rubber tappers who had stopped the cattle ranchers cutting down the forest, and who consequently was a marked man. This made it hard to find him, as he moved around constantly and his fellow tappers kept his whereabouts secret. Eventually we got a tip off and took a bus down to the border, driving through thick smog from the burning forest around us – our first glimpse of the fires devastating the rainforest. When we caught up with him, he had his 3 year daughter with him and we sat on a bench in a little square. All the time we talked Chico`s eyes swept the street on either side, but only later did I realise he was watching for a possible assassin. A year and a half later, late at night in São Paulo, on 22nd December, the phone rang. On the line was Gomercindo Rodrigues, a young agronomist who had become one of his closest advisers. He was calling from Xapuri, where Mendes lived, and he was distraught: “They’ve killed Chico”, he said. Everyone knew who “they” were – the ranchers who had been threatening him for months. In January 1989, two weeks after his death, Ronaldo Caiado, the president of the rightwing landowners alliance, the UDR, set up to stop any meaningful land reform, held a press conference to deny reports that the UDR had had a hand in Mendes’death. When I quoted proof from CUT, the trade union central, that the UDR had indeed been involved, Caiado rounded on me and accused me of being an imperialist lackey. He was so aggressive that all the Brazilian reporters walked out in protest. 25 years later, Caiado is a congressman and leader of the reactionary Bancada Ruralista, the farmers’ lobby, which successfully weakened the Forest Code to allow more deforestation, less environmental protection and an amnesty for those who have illegally deforested. The ruralists are refusing to allow the name of Chico Mendes to be given to the room where the Amazon Commission meets, in spite of the decision being approved in a plenary session. But Chico Mendes’ legacy lives on in Acre and other regions of Brazil where agro-extractive reserves, an idea first proposed by the rubbertappers in 1985, have been created. Chico said at the time: “to guarantee the future of the Amazon we need to create the extractivist reserves…. 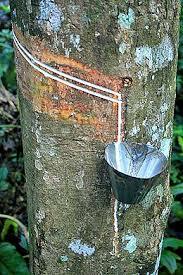 The rubbertappers understand that the Amazon cannot be transformed into an untouchable sanctuary. On the other hand we also understand that it is urgent to stop the deforestation which is threatening the Amazon and the life of everyone on the planet”. Gomercindo Rodrigues stayed on in Acre after Chico’s murder and became a lawyer in order to defend the rubbertappers’ cause. He told me that the first extractive reserve to be created, named after Chico Mendes, covers a million hectares of forest around Xapuri. Beyond the limits of the reserve all the forest has been destroyed for cattle pasture. After years of falling rubber prices, when tappers had to turn to other jobs, the opening of a local factory making condoms has led to a revival of rubber. The reserve now has electricity, schools and an eco-lodge. The men who planned and executed the murder, cattle rancher Darly Alves and his son Darcy Alves, were sentenced in 1990 to 19 years in prison, but after escaping from jail and being at large for several years they were granted conditional freedom. The ranchers wanted to get rid of Chico Mendes not only because he was organising the local rubber tappers in “empates”, human barricades of men, women and children, a non-violent tactic which successfully stopped the bulldozers clearing the rainforest, but because he had drawn the attention of the outside world to what was going on in the Amazon. American environmentalists took him to Washington to persuade the World Bank and the Interamerican Bank not to fund cattle projects in the Amazon. In 1987 he won the UN’s Global 500 Ecology award in recognition of his environmental achievements, although he always saw himself first and foremost as a man fighting for a fairer society. Gomercindo Rodrigues says that, thanks to Chico Mendes, everyone was forced to look at the Amazon in a different way – the government could no longer see it in purely developmental terms, and environmentalists had to admit that its preservation depends on the populations who inhabit it, not on their exclusion. The rubbertappers council has become the National Council of Extractivist Populations, and now includes collectors of brazil nuts and babaçu. Their last meeting was attended by over 1000 people. “Those who killed Chico got it wrong. They thought by killing him, the tappers’ movement would be demobilized, but they made him immortal. His ideas still have a huge influence”, says Gomercindo. He adds “But Chico wanted to live, because he would have achieved much more alive”.